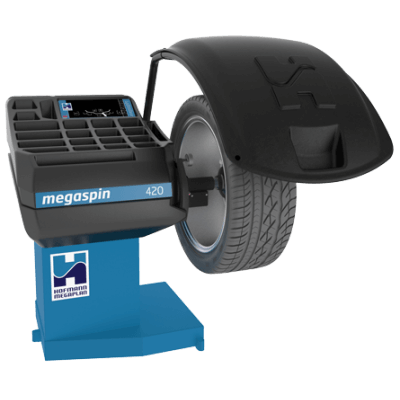 The megaspin 420 is just the simplest wheel balancer, With a combination of revolutionary new technology, incredible simplicity, and typical megaplan reliability make this, in our opinion, the best value wheel balancer on the market today. Boasting our brand new ‘No Checkspin’ technology and 6 o’clock weight positioning, the Megaspin 420 only requires the operator to select the weight position(s) and lower the hood, it’s that simple! 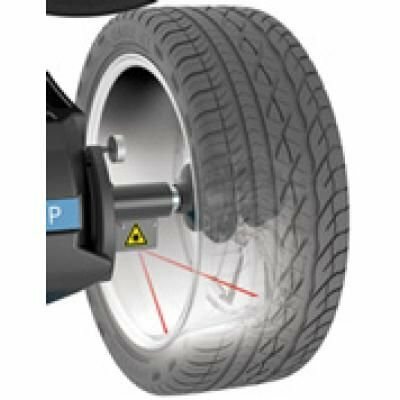 Two laser points guide the operator to the chosen weight position, and the rim locks into position at each inner and outer 6 O’clock placement position. The is no possibility for error, no chance of the machine throwing up an extra 5 or 10gms, and absolutely NO CHECKSPIN REQUIRED. 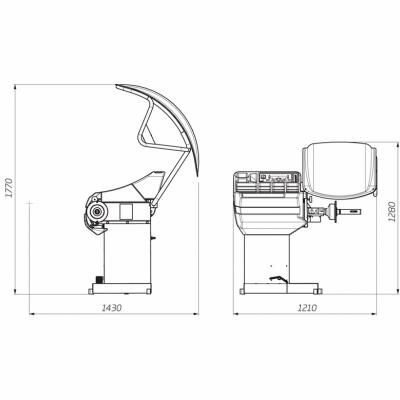 Other features include an automatic LED that lights up whenever a weight position is being chosen, and a new design which sees the balancing shaft brought forward and the chassis narrowed to allow unimpeded access when selecting positions or applying weights. £3,255.00 + vat, Cash Price fitted. £15.77 + vat, per week when using Lease / Buy. Balancing of all steel & alloy wheels.